← Just Who Is Chucky Lou and Why The Last Dance ? My Postscript on Buying Hyacinths…. My next door neighbor is my Wilson. We can cover the state of the world, best fish fries, and thrift shop treasures on any given day, but recently he suggested a perfect avenue to stock my store. As a result, I’ve rented a space in a local well established antique mall where I’ve made many interesting new friends. Not only has this encouraged me to clear out some clutter in this old house, I now have a purpose for one of my favorite pastimes here, and upnorth in the summer – exploring flea markets and garage sales. Hot Dam, what fun! Simply stated, I’m content with my life, and I already have all the things I need to make me happy… my family, my friends, a black Lab, books to read, a purpose – and of course, an occasional Hyacinth to feed my soul. This entry was posted in Uncategorized and tagged Everyday Thoughts. Bookmark the permalink. 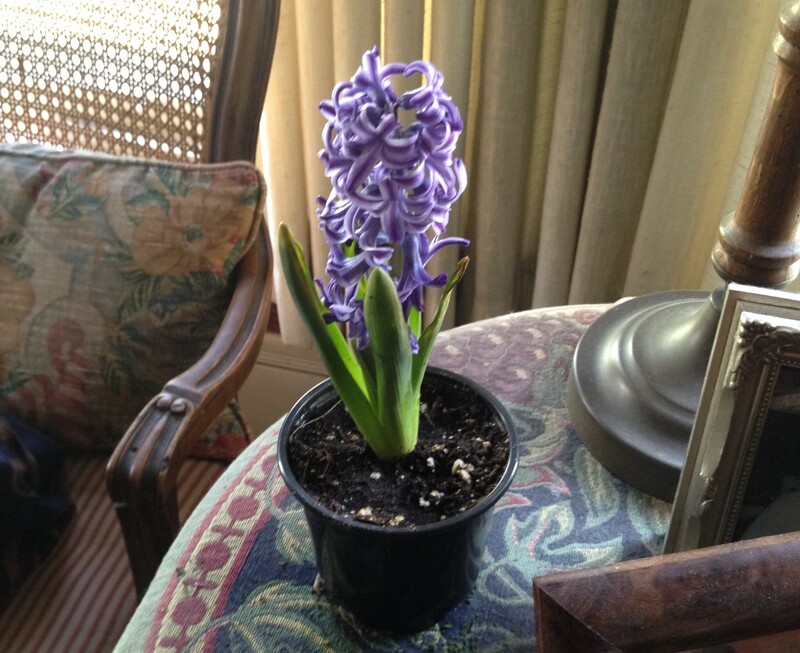 I received the photo of the beautiful hyacinth and the full text via my e-mail. I loved your offering! When I was done reading it, I looked for more to read. Your voice/expressions pull me in and I do so enjoy your blog! Can’t wait to read more.